457 Visa Medicare 2015 Guide - What You Need To Know! 457 Visa Medicare 2015 Guide – What You Need To Know! Medicare is available to some 457 visa holders, offering limited health cover. Learn more about Medicare, what it covers and the tax implications below. Medicare is the government’s program to provide hospital and medical services. What 457 Visa Holders Can Get Medicare? Australia has a full RHCA (reciprocal health care agreement) with nine countries and a partial agreement with a further two allowing them access to Medicare. Residents from the UK, NZ, Ireland, Finland, Norway or Sweden you are covered by the RHCA during your stay while on a 457 visa. Slovenia, Netherlands or Belgium residents can apply for Medicare but need a European health insurance card. 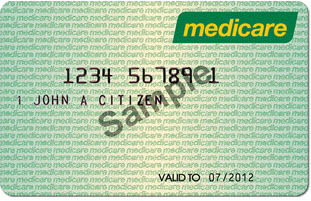 Once this card runs out, so will Medicare so it’s important to ensure this doesn’t occur. Finally, residents Italy or Malta are only covered by the RHCA for the first 6 months of arriving in Australia on the subclass 457 visa after which their cover expires. They must have proof of 457 visa health insurance that will be activated prior to this half year period expiring. What Does The RHCA Entitle Me To? There are two sets of counties that have different benefits based on their reciprocal health care agreements with Australia. These residents are entitled to be admitted as a public patients within a public hospital for medically necessary treatments. They are also entitled to subsidised prescription medicines pre-set on the PBS (Pharmaceutical Benefit Scheme). They cannot apply for Medicare. If I Get Medicare, What Is The Main Benefit? If the doctor charges that same amount pre-determined by Medicare their is a bulk-billing situation. This means that if you show your Medicare Card (reciprocal health care card) and then sign the form your provided you won’t have anything to pay. If the doctor charges more than the amount set by Medicare (which is becoming increasingly common) you may either be charged the full amount and then need to get a rebate from Medicare or more commonly, you will charged the amount after the Medicare amount is taken away. Why Would I Want 457 Visa Health Insurance If I Have Medicare? Those that have Medicare but don’t have 457 visa health insurance will need to pay the medicare levy surcharge (MLS) once they earn above a threshold. In the 2015/16 financial year the based income threshold is $90,000 for individuals and $180,000 for families. As the table below highlights, the extra tax once you pass these thresholds ranged from 1% to 1.5%. In almost all cases, it’s cheaper to have 457 visa health insurance than pay the extra MLS tax! Kim’s income over a financial year is $100,000. She has medicare but does not have 457 visa health insurance. She will need to pay the Medicare Levy Surcharge which is 1% of her income. If Kim though would of had the cheapest health insurance for 457 visa holders by Frank it would be from $894.36. This means that Kim would be more than $100 ahead and would also have private health cover! The Johnson family income over a financial year is $250,000 combined over last financial year, have Medicare but don’t have health insurance for 457 visa holders. They will need to pay a Medicare Levy Surcharge which is 1.25% of their income. 1.25% * $250,000 = $3,125. If the Johnson’s had the cheapest 457 visa health insurance for families offered by Frank, they would need to pay $1,800. Effectively, they would not only be $1,325 better off, they would also have the peace of mind offered from private 457 visa health cover. Medicare isn’t the NHS! It doesn’t cover you for all treatments or those within a private hospital or clinic. You also can only be admitted to a public hospital as a public patient, which may mean you share a room with up to seven other patients. Waiting lists – If you require elective surgery (eg a knee reconstruction) you will be placed on a waiting list which can be months to years. Medicare doesn’t cover you for ambulance services, dental services (eg examinations) and services such as physiotherapy. These are are called ‘extras’ and are only offered as additional cover by 457 visa health cover firms. Dental insurance including regular check-ups, major dental work (eg crowns) to orthodontic work. The Reciprocal Health Care Agreement is a real asset for those overseas visitors who come to Australia on a 457 visa and are eligible to qualify. It’s critical to note though that a majority of Australians have this level of cover yet still choose to have private health cover. The reason for this range from reducing their tax, increasing cover to the option of treatment in a private hospital with their choice of doctor. 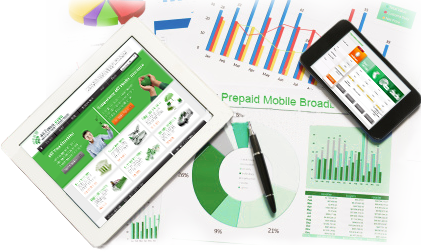 It’s worth considering these factors before letting your 457 health insurance lapse.